In the wake of the long-running massive industry consolidation in the Enterprise Software industry that reached its zenith with the acquisitions of Business Intelligence market leaders Hyperion, Cognos, and Business Objects in 2007, one could certainly have been forgiven for being less than optimistic about the prospects of innovation in the Analytics, Business Intelligence, and Performance Management markets. This is especially true given the dozens of innovative companies that each of these large best of breed vendors themselves had acquired before being acquired in turn. While the pace of innovation has slowed to a crawl as the large vendors are midway through digesting the former best of breed market leaders, thankfully for the health of the industry, nothing could be further from the truth in the market overall. This market has in fact shown itself to be very vibrant, with a resurgence of innovative offerings springing up in the wake of the fall of the largest best of breed vendors. 1. We will witness the emergence of packaged strategy-driven execution applications. As we discussed in Driven to Perform: Risk-Aware Performance Management From Strategy Through Execution (Nenshad Bardoliwalla, Stephanie Buscemi, and Denise Broady, New York, NY, Evolved Technologist Press, 2009), the end state for next-generation business applications is not merely to align the transactional execu tion processes contained in applications like ERP, CRM, and SCM with the strategic analytics of performance and risk management of the organization, but for those strategic analytics to literally drive execution. We called this “Strategy-Driven Execution”, the complete fusion of goals, initiatives, plans, forecasts, risks, controls, performance monitoring, and optimization with transactional processes. Visionary applications such as those provided by Workday and SalesForce.com with embedded real-time contextual reporting available directly in the application (not as a bolt-on), and Oracle’s entire Fusion suite layering Essbase and OBIEE capabilities tightly into the applications’ logic, clearly portend the increasing fusion of analytic and transactional capability in the context of business processes and this will only increase. 2. The holy grail of the predictive, real-time enterprise will start to deliver on its promises. While classic analytic tools and applications have always done a good job of helping users understand what has happened and then analyze the root causes behind this performance, the value of this information is often stale before it reaches its intended audience. The holy grail of analytic technologies has always been the promise of being able to predict future outcomes by sensing and responding, with minimal latency between event and decision point. This has become manifested in the resurgence of interest in event-driven architectures that leverage a technology known as Complex Event Processing and predictive analytics. The predictive capabilities appear to be on their way to break out market acceptance IBM’s significant investment in setting up their Business Analytics and Optimization practice with 4000 dedicated consultants, combined with the massive product portfolio of the Cognos and recently acquired SPSS assets. Similarly, Complex Event Processing capabilities, a staple of extremely data-intensive, algorithmically-sophisticated industries such as financial services, have also become interesting to a number of other industries that can not deal with the amount of real-time data being generated and need to be able to capture value and decide instantaneously. Combining these capabilities will lead to new classes of applications for business management that were unimaginable a decade ago. 3. The industry will put reporting and slice-and-dice capabilities in their appropriate places and return to its decision-centric roots with a healthy dose of Web 2.0 style collaboration. It was clear to the pioneers of this industry, beginning as early as H.P. Luhn’s brilliant visionary piece A Business Intelligence System from 1958, that the goal of these technologies was to support business decision-making activities, and we can trace the roots of modern analytics, business intelligence, and performance management to the decision-support notion of decades earlier. But somewhere along the way, business intelligence became synonymous with reporting and slicing-and-dicing, which is a metaphor that suits analysts, but not the average end-user. This has contributed to the paltry BI adoption rates of approximately 25% bandied about in the industry, despite the fact that investment in BI and its priority for companies has never been higher over the last five years. Making report production cheaper to the point of nearly being free, something SaaS BI is poised to do (see above), is still unlikely to improve this situation much. Instead, we will see a resurgence in collaborative decision-centric business intelligence offerings that make decisions the central focus of the offerings. From an operational perspective, this is certainly in evidence with the proliferation of rules-based approaches that can automate thousands of operational decisions with little human intervention. However, for more tactical and strategic decisions, mash-ups will allow users to assemble all of the relevant data for making a decision, social capabilities will allow users to discuss this relevant data to generate “crowdsourced” wisdom, and explicit decisions, along with automated inferences, will be captured and correlated against outcomes. This will allow decision-centric business intelligence to make recommendations within process contexts for what the appropriate next action should be, along with confidence intervals for the expected outcome, as well as being able to tell the user what the risks of her decisions are and how it will impact both the company’s and her own personal performance. 4. Performance, risk, and compliance management will continue to become unified in a process-based framework and make the leap out of the CFO’s office. The disciplines of performance, risk, and compliance management have been considered separate for a long time, but the walls are breaking down, as we documented thoroughly in Driven to Perform. Performance management begins with the goals that the organization is trying to achieve, and as risk management has evolved from its siloed roots into Enterprise Risk Management, it has become clear that risks must be identified and assessed in light of this same goal context. Similarly, in the wake of Sarbanes-Oxley, as compliance has become an extremely thorny and expensive issue for companies of all sizes, modern approaches suggest that compliance is ineffective when cast as a process of signing off on thousand of individual item checklists, but rather should be based on an organization’s risks. All three of these disciplines need to become unified in a process-based framework that allows for effective organizational governance. And while financial performance, risk, and compliance management are clearly the areas of most significant investment for most companies, it is clear that these concerns are now finally becoming enterprise-level plays that are escaping the confines of the Office of the CFO. We will continue to witness significant investment in sales and marketing performance management, as vendors like Right90 continuing to gain traction in improving the sales forecasting process and vendors like Varicent receive hefty $35 million venture rounds this year, no doubt thanks to experiencing over 100% year over year growth in the burgeoning Sales Performance Management category. 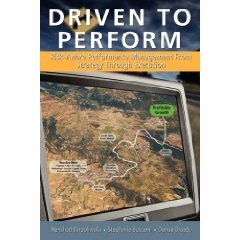 My former Siebel colleague, Bruce Cleveland, now a partner at Interwest, makes the case for this market expansion of performance management into the front-office rather convincingly and has invested correspondingly. 5. SaaS / Cloud BI Tools will steal significant revenue from on-premise vendors but also fight for limited oxygen amongst themselves. From many accounts, this was the year that SaaS-based offerings hit the mainstream due to their numerous advantages over on-premise offerings, and this certainly was in evidence with the significant uptick in investment and market visibility of SaaS BI vendors. Although much was made of the folding of LucidEra, one of the original pioneers in the space, and while other vendors like BlinkLogic folded as well, vendors like Birst, PivotLink, Good Data, Indicee and others continue to announce wins at a fair clip along with innovations at a fraction of the cost of their on-premise brethren. From a functionality perspective, these tools offer great usability, some collaboration features, strong visualization capabilities, and an ease-of-use not seen with their on-premise equivalents whereby users are able to manage the system in a self-sufficient fashion devoid of the need for significant IT involvement. I have long argued that basic reporting and analysis is now a commodity, so there is little reason for any customer to invest in on-premise capabilities at the price/performance ratio that the SaaS vendors are offering (see BI SaaS Vendors Are Not Created Equal ) . We should thus expect to see continued dimunition of the on-premise vendors BI revenue streams as the SaaS BI value proposition goes mainstream, although it wouldn’t be surprising to see acquisitions by the large vendors to stem the tide. However, with so many small players in the market offering largely similar capabilities, the SaaS BI tools vendors may wind up starving themselves for oxygen as they put price pressure on each other to gain new customers. Only vendors whose offerings were designed from the beginning for cloud-scale architecture and thus whose marginal cost per additional user approaches zero will succeed in such a commodity pricing environment, although alternatively these vendors can pursue going upstream and try to compete in the enterprise, where the risks and rewards of competition are much higher. On the other hand, packaged SaaS BI Applications such as those offered by Host Analytics, Adaptive Planning, and new entrant Anaplan, while showing promising growth, have yet to mature to mainstream adoption, but are poised to do so in the coming years. As with all SaaS applications, addressing key integration and security concerns will remain crucial to driving adoption. 6. The undeniable arrival of the era of big data will lead to further proliferation in data management alternatives. While analytic-centric OLAP databases have been around for decades such as Oracle Express, Hyperion Essbase, and Microsoft Analysis Services, they have never held the same dominant market share from an applications consumption perspective that the RDBMS vendors have enjoyed over the last few decades. No matter what the application type, the RDBMS seemed to be the answer. However, we have witnessed an explosion of exciting data management offerings in the last few years that have reinvigorated the information management sector of the industry. The largest web players such as Google (BigTable),Yahoo (Hadoop), Amazon (Dynamo), Facebook (Cassandra) have built their own solutions to handle their own incredible data volumes, with the open source Hadoop ecosystem and commercial offerings like CloudEra leading the charge in broad awareness. Additionally, a whole new industry of DBMSs dedicated to Analytic workloads have sprung up, with flagship vendors like Netezza, Greenplum, Vertica, Aster Data, and the like with significant innovations in in-memory processing, exploiting parallelism, columnar storage options, and more. We already starting to see hybrid approaches between the Hadoop players and the ADBMS players, and even the largest vendors like Oracle with their Exadata offering are excited enough to make significant investments in this space. Additionally, significant opportunities to push application processing into the databases themselves are manifesting themselves. There has never been the plethora of choices available as new entrants to the market seem to crop up weekly. Visionary applications of this technology in areas like metereological forecasting and genomic sequencing with massive data volumes will become possible at hitherto unimaginable price points. 7. Advanced Visualization will continue to increase in depth and relevance to broader audiences. Visionary vendors like Tableau, QlikTech, and Spotfire (now Tibco) made their mark by providing significantly differentiated visualization capabilities compared with the trite bar and pie charts of most BI players’ reporting tools. The latest advances in state-of-the-art UI technologies such as Microsoft’s SilverLight, Adobe Flex, and AJAX via frameworks like Google’s Web Toolkit augur the era of a revolution in state-of-the art visualization capabilities. With consumers broadly aware of the power of capabilities like Google Maps or the tactile manipulations possible on the iPhone, these capabilities will find their way into enterprise offerings at a rapid speed lest the gap between the consumer and enterprise realms become too large and lead to large scale adoption revolts as a younger generation begins to enter the workforce having never known the green screens of yore. 8. Open Source offerings will continue to make in-roads against on-premise offerings. Much as Saas BI offerings are doing, Open Source offerings in the larger BI market are disrupting the incumbent, closed-source, on-premise vendors. Vendors like Pentaho and JasperSoft are really starting to hit their stride with growth percentages well above the industry average, offering complete end-to-end BI stacks at a fraction of the cost of their competitors and thus seeing good bottom-up adoption rates. This is no doubt a function of the brutal economic times companies find themselves experiencing. Individual parts of the stacks can also be assembled into compelling offerings and receive valuable innovations from both corporate entities as well as dedicated committers: JFreeChart for charting, Actuate‘s BIRT for reporting, Mondrian and Jedox‘s Palo for OLAP Servers, DynamoBI‘s LucidDB for ADBMS, Revolution Computing‘s R for statistical manipulation, Cloudera‘s enterprise Hadoop for massive data, EsperTech for CEP, Talend for Data Integration / Data Quality / MDM, and the list goes on. These offerings have absolutely reached a level of maturity where they are capable of being deployed in the enterprise right alongside any other commercial closed-source vendor offering. 9. Data Quality, Data Integration, and Data Virtualization will merge with Master Data Management to form a unified Information Management Platform for structured and unstructured data. Data quality has been the bain of information systems for as long as they have existed, causing many an IT analyst to obsess over it, and data quality issues contribute to significant losses in system adoption, productivity, and time spent addressing them. Increasingly, data quality and data integration will be interlocked hand-in-hand to ensure the right, cleansed data is moved to downstream sources by attacking the problem at its root. Vendors including SAP BusinessObjects, SAS, Informatica, and Talend are all providing these capabilities to some degree today. Of course, with the amount of relevant data sources exploding in the enterprise and no way to integrate all the data sources into a single physical location while maintaining agility, vendors like Composite Software are providing data virtualization capabilities, whereby canonical information models can be overlayed on top information assets regardless of where they are located, capable of addressing the federation of batch, real-time and event data sources. These disparate data soures will need to be harmonized by strong Master Data Management capabilities, whereby the definitions of key entities in the enterprise like customers, suppliers, products, etc. can be used to provide semantic unification over these distributed data sources. Finally, structured, semi-structured, and unstructured information will all be able to be extracted, transformed, loaded, and queried from this ubiquitious information management platform by leveraging the capabilities of text analytics capabilities that continue to grow in importance and combining them with data virtualization capabilities. 10. Excel will continue to provide the dominant paradigm for end-user BI consumption. For Excel specifically, the number one analytic tool by far with a home on hundreds of millions of personal desktops, Microsoft has invested significantly in ensuring its continued viability as we move past its second decade of existence, and its adoption shows absolutely no sign of abating any time soon. With Excel 2010’s arrival, this includes significantly enhanced charting capabilities, a server-based mode first released in 2007 called Excel Services, being a first-class citizen in SharePoint, and the biggest disruptor, the launch of PowerPivot, an extremely fast, scalable, in-memory analytic engine that can allow Excel analysis on millions of rows of data at sub-second speeds. While many vendors have tried in vain to displace Excel from the desktops of the business user for more than two decades, none will be any closer to succeeding any time soon. Microsoft will continue to make sure of that. And so ends my list of prognostications for Analytics, Business Intelligence, and Performance Management in 2010! What are yours? I welcome your feedback on this list and look forward to hearing your own views on the topic. Hi Nenshad. Thanks for putting together this all-inclusive article. I benefited a lot from reading it. I was on the edge of my seat waiting for you to mention Excel … until you finally did at the very end. I could not pass the opportunity to mention that in terms of open source and open standards, the field of predictive analytics is looking brighter by the day. I believe predictive analytics allows for making sense of it all. Although data visualization is a great step towards understanding data, there are patterns and trends in data that can only really be detected by a learning algorithm (e.g. neural network). I believe analytics will benefit even more from predictive analytics in 2010. In turn, predictive analytics is already benefiting from open source systems such as KNIME, R, Rapid-Miner, Weka … all of which support PMML (Predictive Model Markup Language), which is the de facto standard to represent data manipulations and statistical models so that these can be easily moved around among disparate applications. At Zementis, we have been using PMML to power our own predictive analytics engine which can be accessed by anyone at anytime since it is offered as a Service in the Amazon Cloud. I agree completely with you that SaaS is here to revolutionize the BI space … as well as predictive analytics and forecasting. Coming back to Excel, we have just launched an add-in for Excel 2007 that allows users to generate predictions out of their data instantly by using models they built using the best of breed commercial or open-source predictive analytics packages (most, if not all export PMML). Open source and open standards are more and more defining the pace and face of analytics, business intelligence, and performance management. “Additionally, a whole new industry of DBMSs dedicated to Analytic workloads have sprung up…” You are correct of course and there is a trend in VLDB trenches right now pushing “analytics” into the database engine – SAS is partnering with NZ and Aster (if I remember correctly) and Aster has pretty much shifted to an “app server” type of offering I believe (integrating mapreduce among other things). I guess my question is: how are these analytics any different from the SQL-99 OLAP extensions, for example? When they say “analytics” inside the engine, what exactly do you see that as? Is that like predictive stuff or just sophisticated OLAP math (like windowing and the like..)? I’d be curious to get your insight on that. Agree 100% with #2 (predictive, real-time enterprise). RDBMS can now, not only store.manage the data, but now they can “think” about the data, find patterns and relationships and make predictions. Oracle has been “stem-celling” advanced analytics inside the SQL kernel for the past 10 years and the BI/analytics and Applications markets are long overdue for some major changes. The strategy of “Moving algorithms to the data” versus. “moving data to the algorithms” enables so many new possibilities. Given that a Database, in addition to managing data, can automatically mine the data, serve up insights, correlations, profiles and “rules” to dashboards, devices and applications, etc., this is long overdue. In 2010 we should start to see more clever uses of data that is put it to more beneficial use. If you have the data, then why haven’t you analyzed it? Maybe in 2010, my bank ATM will stop asking me “What language?” and instead will note that it is Friday night and predict/suggest that I take out another $100! I can’t wait for 2010! Great article. very right predictions. the article as a whole is full of knowledge. One thing I think we will continue to see around strategy execution management packages is operational and executive leadership taking the responsibility for implementing these things. The wider availability of SaaS products only increases this trend. At ActiveStrategy, we are seeing multi-billion dollar organizations executing our strategy execution system WITH NO IT SUPPORT, and these are systems with thousands of users. It’s really quite amazing to see these types of systems equated more to a social networking approach with data (which comes from BI systems often via spreadsheets or ODBC uploads) than a BI/ERM approach with some collaboration. Interesting post. Now we are halfway through the year, how do you feel about these trends? Have they happened as you expected, or have you seen different results? We were interested to see so we did a little research around the topic (although we looked only at BI and data mining) more recently on things we thought have been popular in 2010 that you may be interested to read – http://bit.ly/c9wxPx. Very well done. Hard to argue with any of your key points. I see social technologies and the overwhelming amount of user generated content as a major analytic challenge for the C-Levels that I talk to. Finding relevant data, extracting relevant insight, and driving action are key challenges. You mentioned text analytics. I see it playing a major role in applications that focus on both voice of the customer and risk management initiatives. Thanks for a great post Nenshad, as you said excel plays vital role in Analytics, Business Intelligence, and Performance Management but especially in BI. Now excel is also a very big database and make tie-up with many technologies like sharepoint2010. Nearly 15 months after you wrote this post, it still holds true – particularly the last point. Excel reporting is, by far, the dominant business intelligence reality for most people around the world. Why is this true? People are comfortable with Excel. In general, they prefer it to web-based BI. And, they already have it installed on their desktops which makes it the incumbent. If we’re honest, we have to admit that Excel is a really powerful way to navigate, analyze data. It’s really easy for novice users to build charts and graphs. And it’s pretty easy for advanced users to build pivot tables and Excel dashboards. And there are a lot of free resources on the web to help people do things in Excel. The main thing missing for most users is Excel automation – the ability to schedule Excel reports and deliver them automatically to distribution lists. But even this is available through third parties. Nice article, Neshad. Your prognostications are holding up well! Interesting articles still actual, with a great valuable analisys. Now I’m getting crazy with my team in experimenting a robust technology to implement a SaaS based BI set of functionalities for a Enterprise wide customer. Any comments or suggestion is more than welcome. This blog explains top 10 trends which are helpful to the performance management and analytic,and business intelligence.thanks for posting and sharing these top 10 trends with us. I am planning to change over my career from chemical engineering to BI. The point in the article are great but i didn’t fully understand it. Experts/Gurus please advise me on BI Career for new comers and the future potential/demand to establish a career in BI. I am thinking of IBM Cognos BI will it be helpful for me to learn and find a job in this area. our company http://www.sqiar.com/ which provide services like Data warehousing,Business Intelligence,this services can help the company to reduce complex structure of company.our company pilot the company information in easy way..